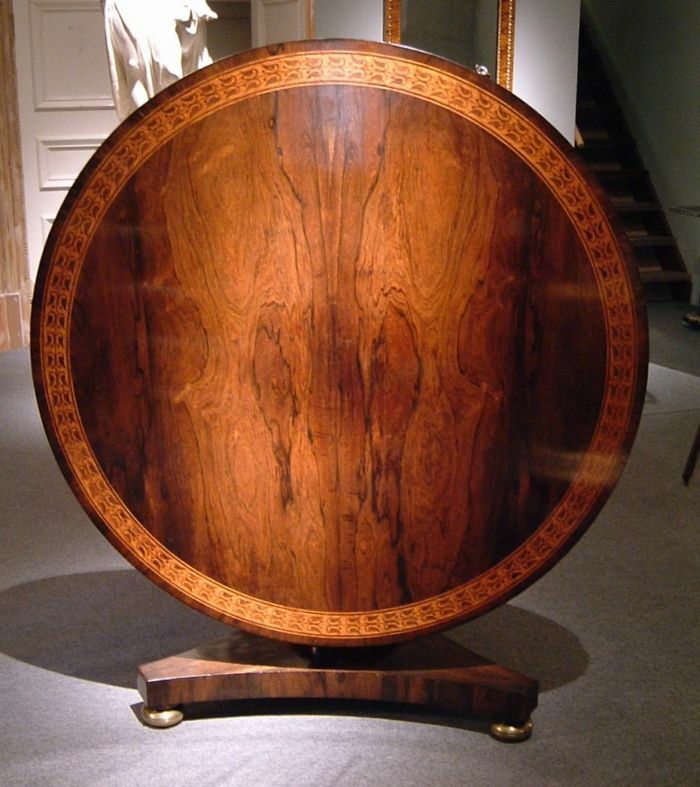 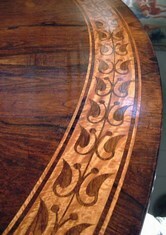 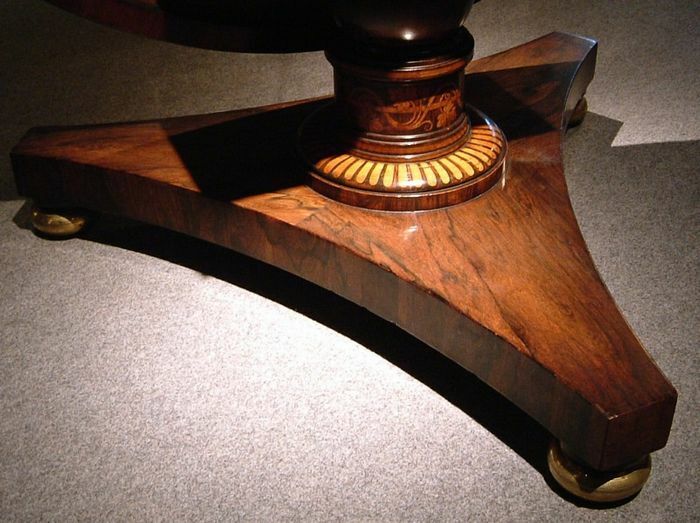 large 19th century centre table, in well figured rosewood veneers, with an inlaid satinwood border, central column, platform base, on gilt brass bun feet. English Late Regency period. Circa 1820.